While the bride had a dreamy and fabulous gown, I was even more excited by her bespoke Stella McCartney bridal pantsuit for the second ceremony, her second Oscar dela Renta Gatsby-inspired reception look, and the Giambattista Valli Couture 5 macramé embroidered short gown she wore for the boat ride to the wedding venue. 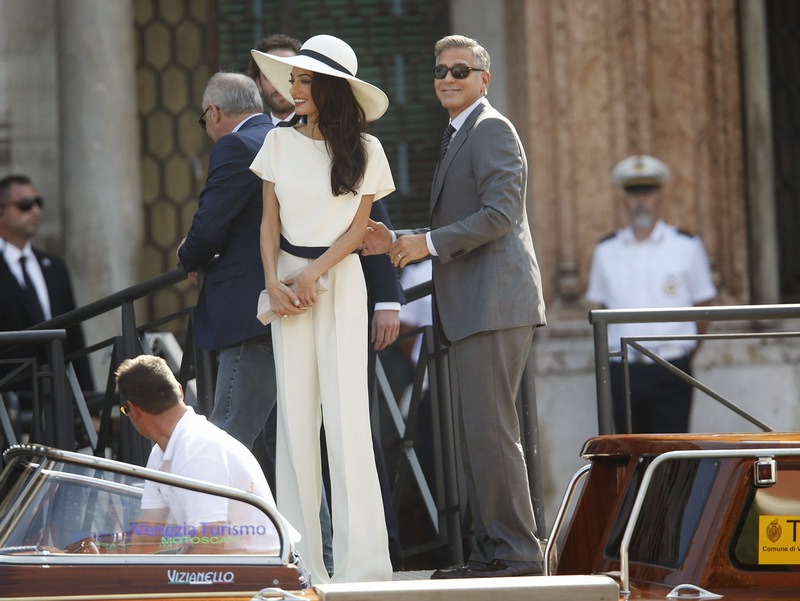 George Clooney on the other hand proved once and for all that he is the marrying kind--and he definitely did it with a wide proud grin and the whole shebang! 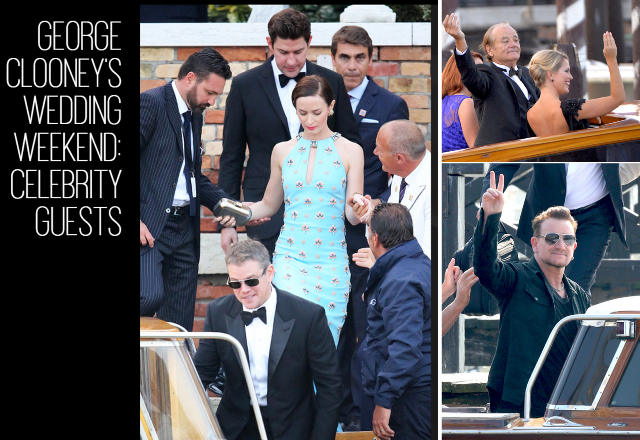 Now my only question is, where is BFF Brad Pitt?!? 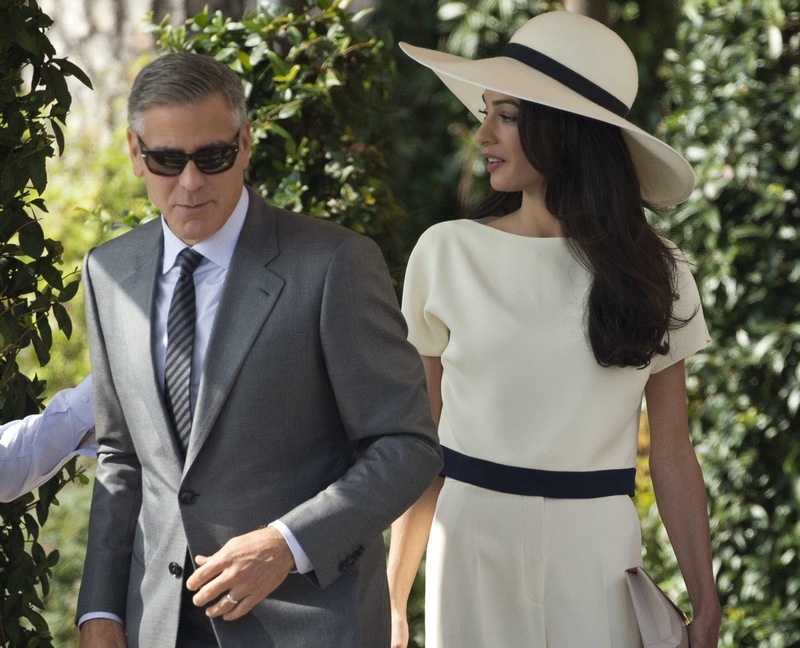 Congratulations to the envy-worthy gorgeous couple! 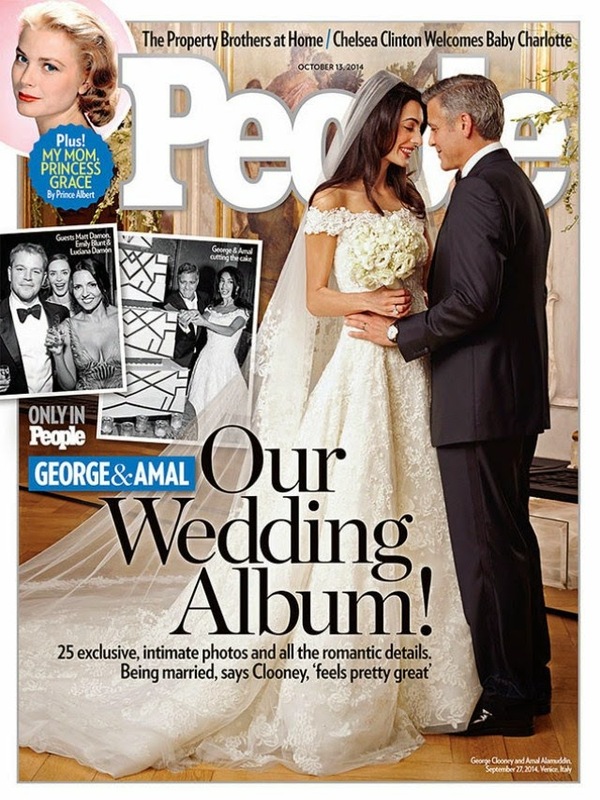 Congrats Mr. & Mrs. Clooney... Amal your wedding dress is very beautiful.